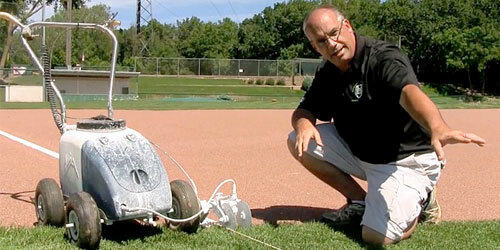 For traditional grass infields, there are really two dragging patterns to consider. 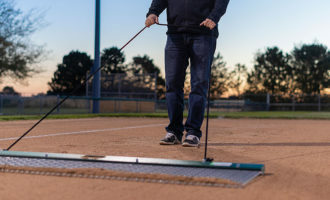 The Parallel Drag Pattern is basically following a path parallel to the turf edges of the infield skin, working your way inward. Watch your speed while cornering, slower is better. 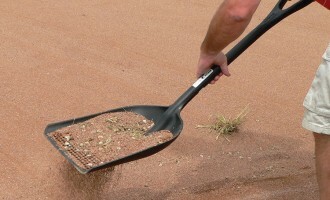 If you go too fast you’ll toss excess material toward the outer edge of the drag which will pile up in those areas. 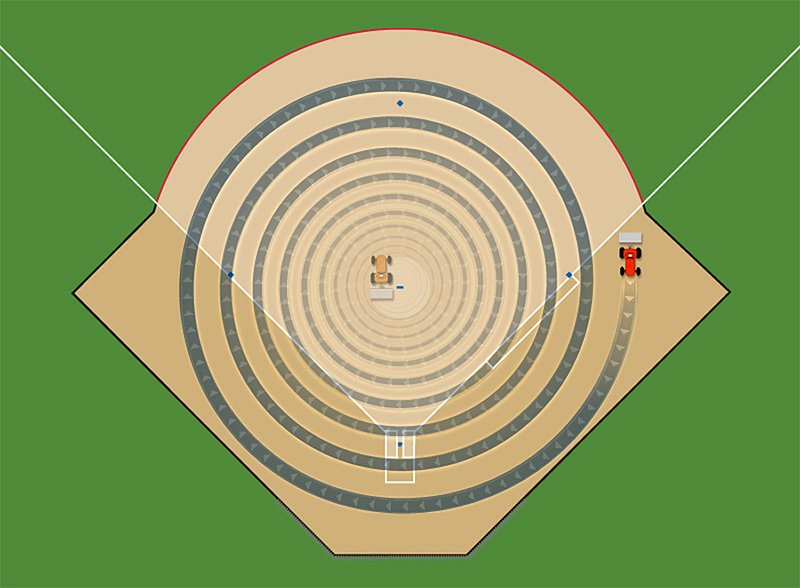 The Overlapping Circles Pattern is used in conjunction with the parallel pattern to cross drag the infield for a smoother surface. When dragging in overlapping circles it is very important to go slow. 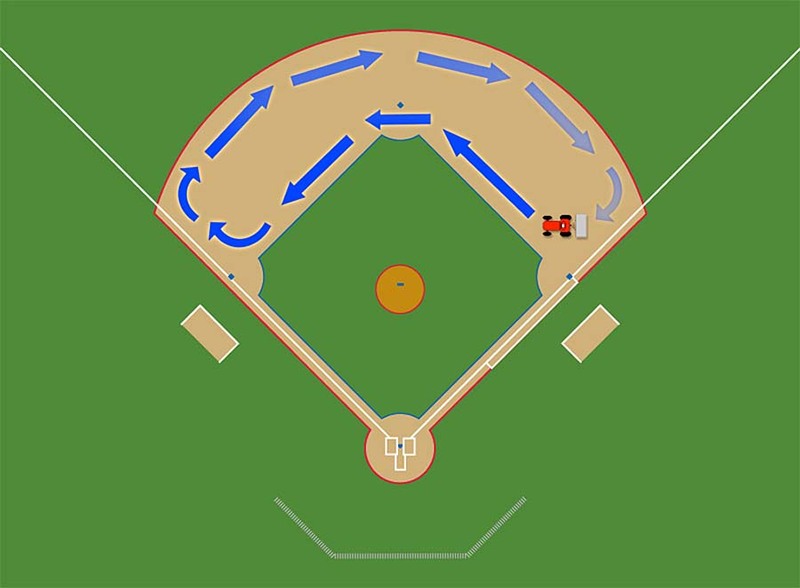 If you go too fast it can cause a “bowling out” of the center of your infield. 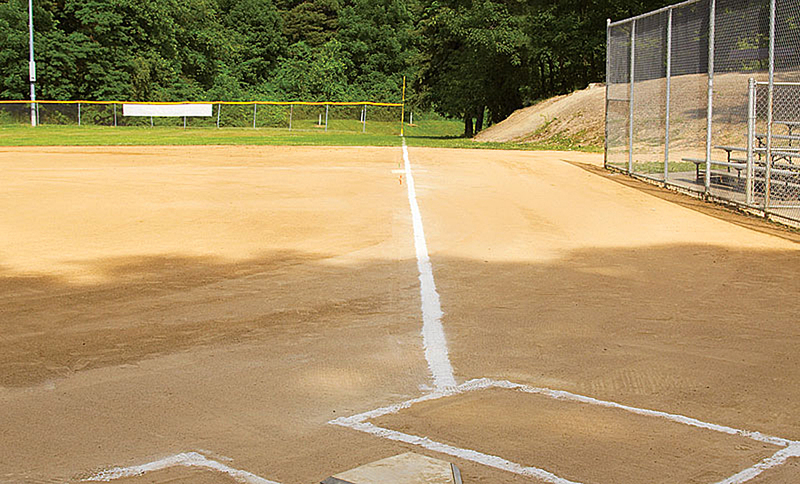 For smaller little league infields, dragging by hand may be your best option. 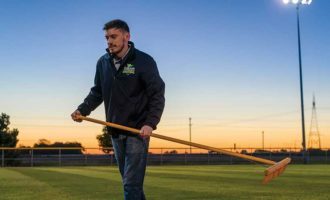 Turning a drag in tight circles is tough to do with a tractor without tossing soil or topdressing off the end of the drag, which will create a bowling out effect over time. 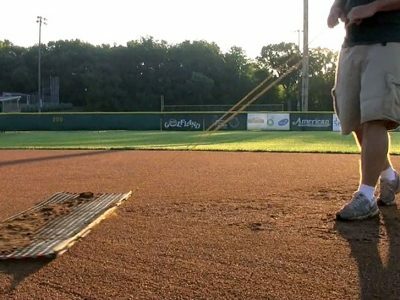 Dragging the infield skin by hand will give you the control you need to minimize drag-related migration of infield material. 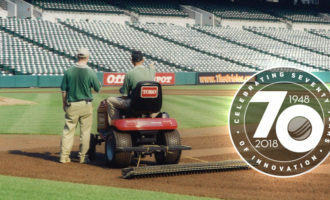 With such a large area of soil, the totally skinned infields can be harder to maintain surface grade than their grass infield counterparts. All of that exposed soil is more susceptible to wind and rain erosion. 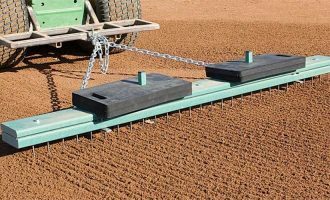 Proper dragging protocol — including dragging patterns — will minimize soil migration and preserve surface grade. A common pattern that seems logical turns out to be the worst pattern you can use. 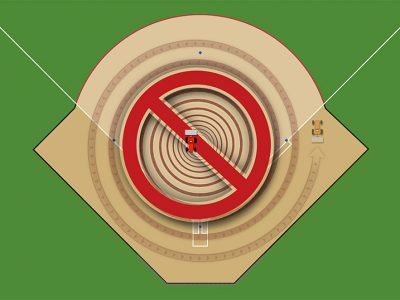 We’re talking about the “outward swirl”. Start in the middle and move outward in a reverse swirl toward your turf grass, right? WRONG. Same idea, but with much better results. 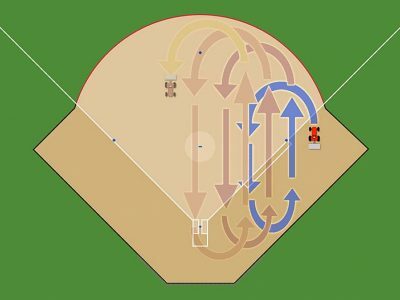 Unlike the outward pattern, the inward swirl is a “building pattern” that can actually help retain or build up the crown of your infield. Use the clock face to set a different starting location each day. 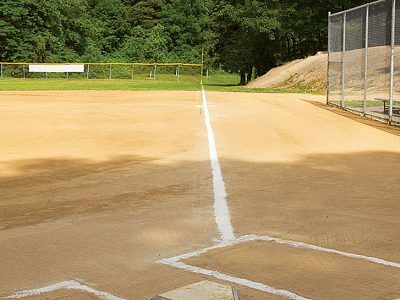 Start your drag on the edge of the infield skin and work your way inward, ending somewhere around the middle of the infield. 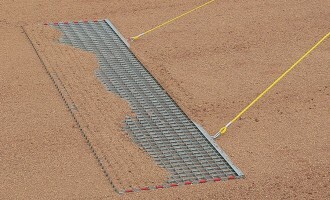 The drag loads up with material on the outside and leaves it in the center when you’re done. 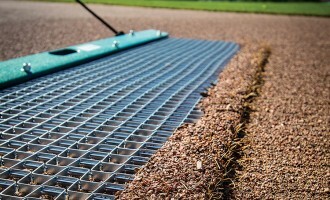 This helps maintain proper surface grade and drainage. 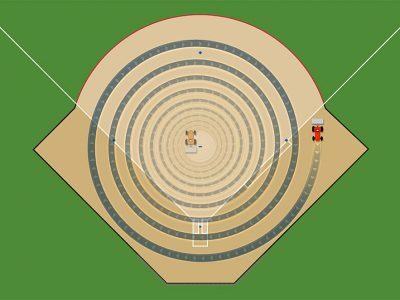 Another effective pattern for fully skinned infields is overlapping ovals. 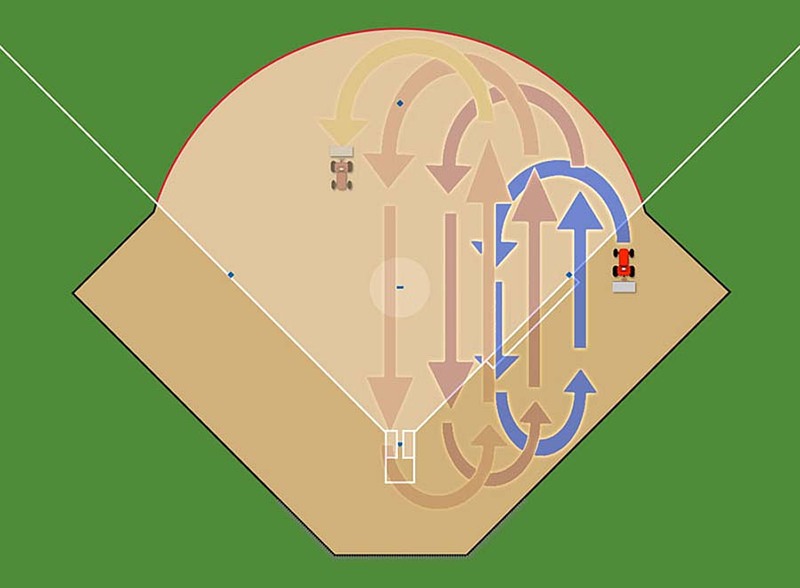 Like the pattern used with a grass infield, envision the face of a clock on your infield to determine your starting point on the outer edges. 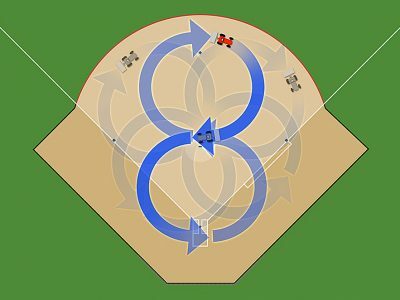 The next day, rotate your pattern starting with a different spot on the “clock”… for instance, if Day 1 you started at 3 o’clock, then you should have worked your way across the infield with overlapping ovals toward 9 o’clock. 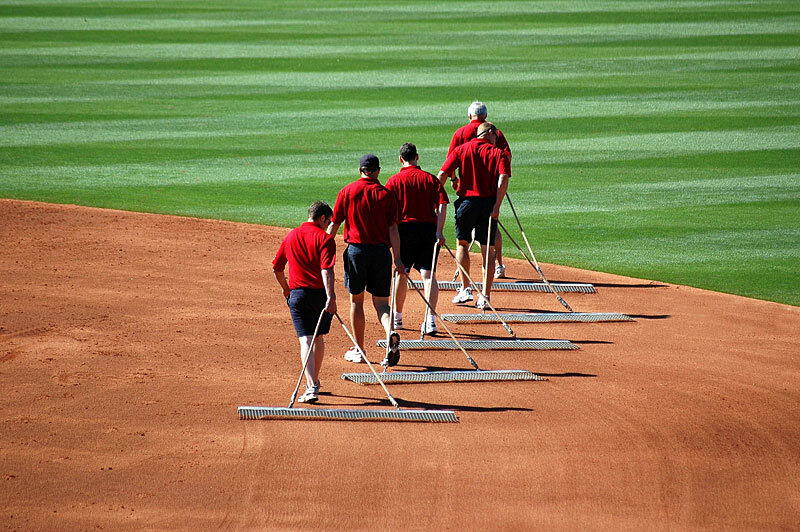 Then the next day, you would begin at 5 o’clock and work across the infield to 11 o’clock, and so on. 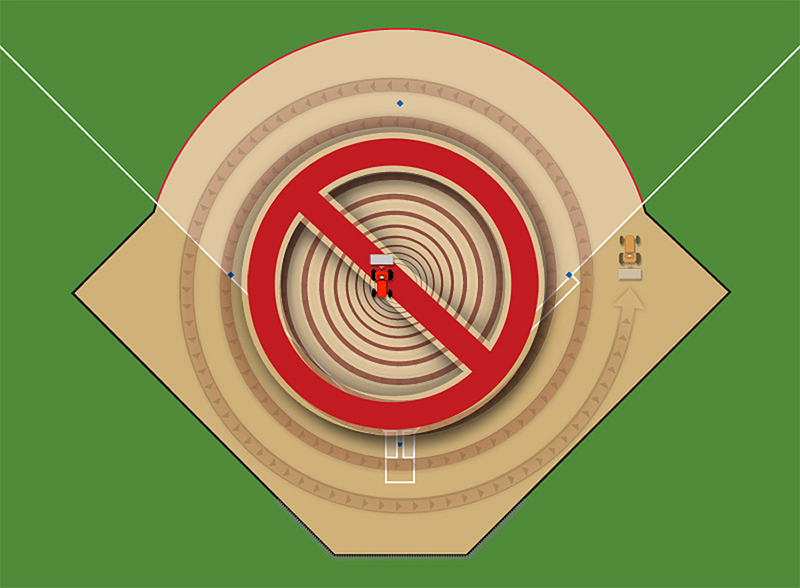 As you might guess, for this pattern you’ll make figure 8s as you rotate around the field, once again using the face of a clock as your guide. 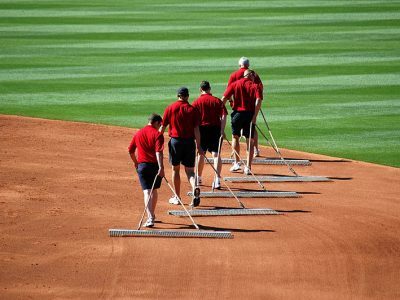 As always, start on the outside edge of your infield and finish near the center. 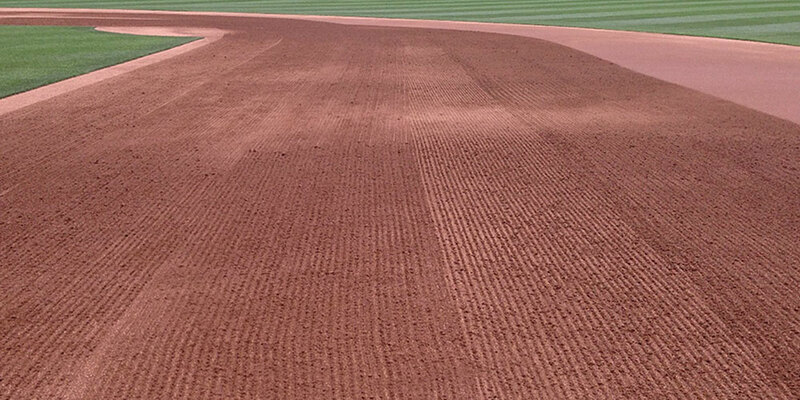 This pattern is another way to slow the degradation of the infield slope, while providing the cross-cutting benefits of overlapping. 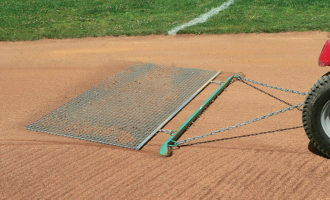 A byproduct of dragging with a steel mat drag is the collection of “spoils”, or waste materials. 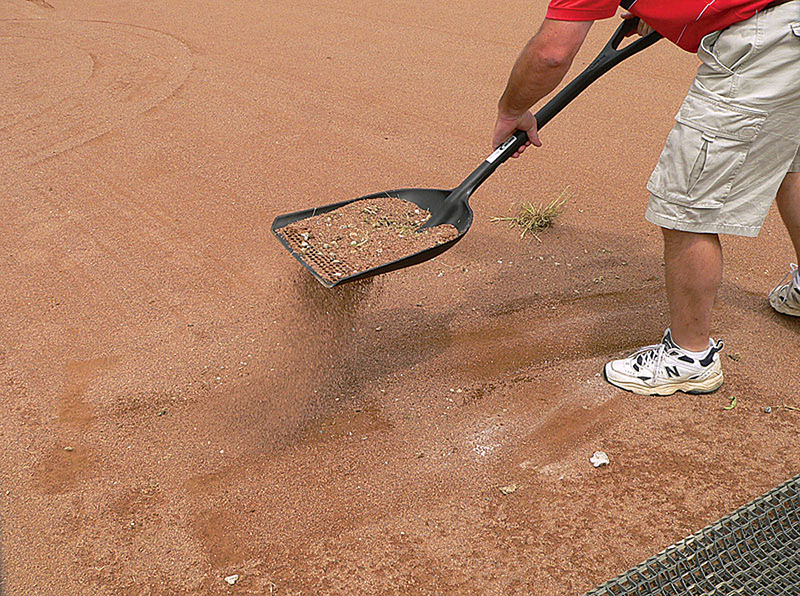 When you finish dragging, these spoils are left behind and need to be removed from your infield. 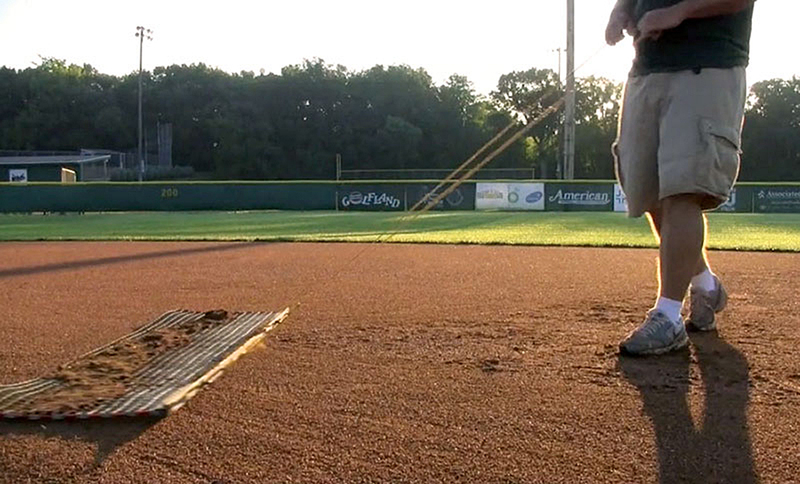 Dragging is a great way to collect up small stones and large clumps that will find their way onto your infield. 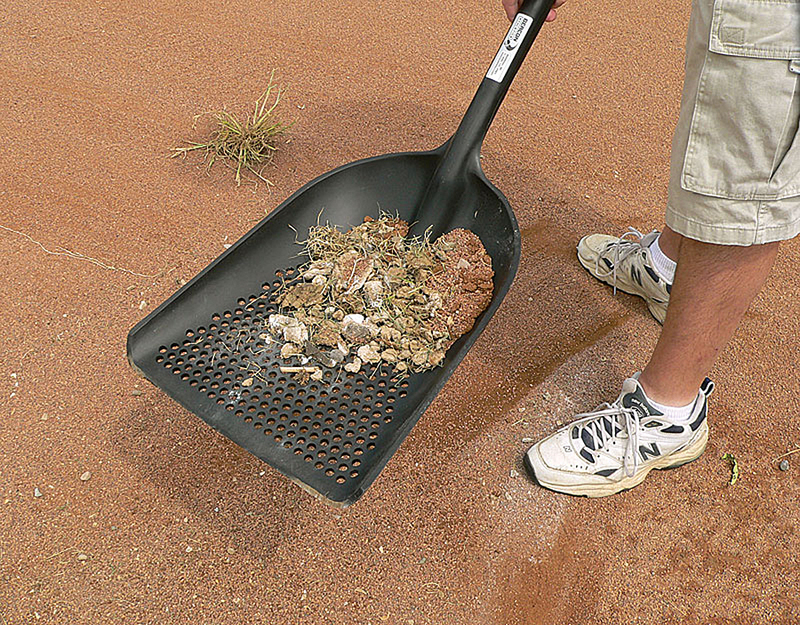 Use a sifter shovel to scoop up the waste and then level the remaining clean soil with a field rake or level board. There’s only one more dragging-related topic left and it’s brief. So now is a great time to review this section on dragging patterns. This Pop Quiz will pose 3 quick questions that’ll let know if it’s okay to move on to that final dragging section. Log in to try the quiz.